198 out of 275 sessions attended (1 excused). 8498 out of 10034 votes during the mandate. Positions of VERHOFSTADT in EP general rankings. Weighted estimate of activity calculated for VERHOFSTADT is 107.21 (+info). Mean productivity calculated for VERHOFSTADT is 0.47 (+info). Tables below show current number of activities registered by VERHOFSTADT. 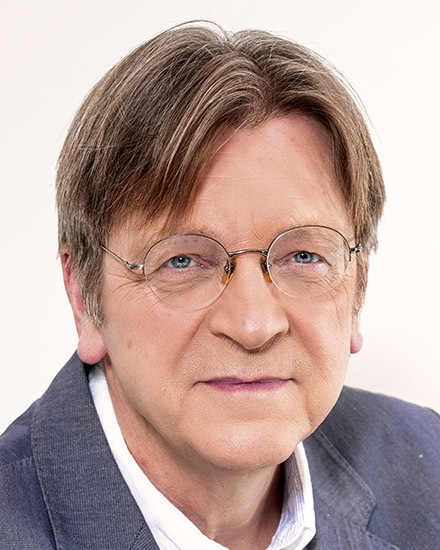 Values of Guy VERHOFSTADT for each activity. Average of ALDE in Belgium. Average of all MEPs in Belgium. Average of ALDE in the European Parliament.